You are going to love The Stumps of Flattop Hill book! I know I'm excited to have this around for my nephews and nieces to visit, but especially for Halloween this year. 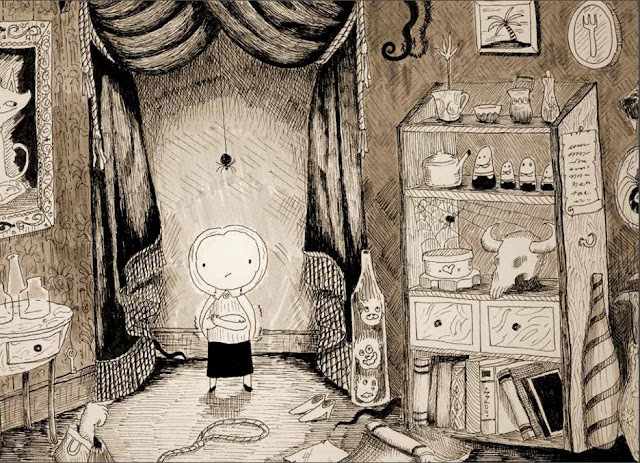 Think of the same dark storytelling as the Brothers Grimm and the art style of Edward Gorey. That's the beauty of The Stumps of Flattop Hill! It's wonderful for children and adults alike. 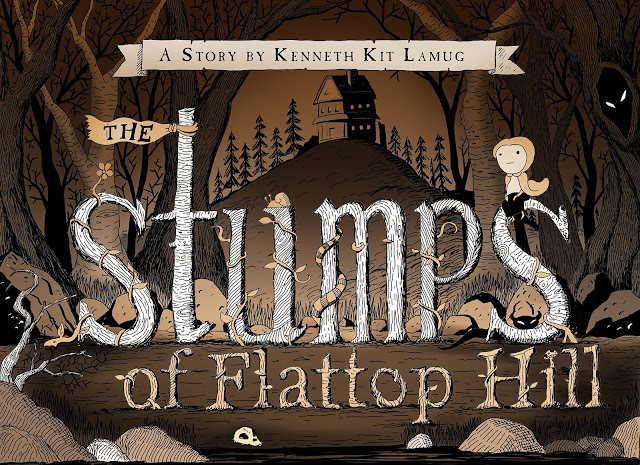 "The Stumps of Flattop Hill is a macabre tale of a little girl who enters the town's legendary haunted house in the face of fear." Imagine all the gruesome encounters this little girl experiences throughout the book! Aren't you a little curious? Check it out and make sure to comment below!